If your child participates in sports, he or she has probably made a few close friends during the season. Not all teams have an end of the season celebration, but it is a great way for the team members to revel in their successes and improvements. 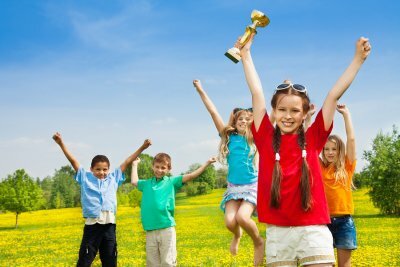 If you’re interested in planning an end of the season celebration for your child’s team, visit a trophy store in San Jose or Santa Clara to pick out some personalized trophies or sports awards for the players. Check with your child’s coach to see if he or she already has an end of the season event planned for the team. If not, volunteer to plan one yourself. You may not be able to choose the exact date for the party until the team’s playoff season is over, but you can begin planning other aspects of the event, such as personalized gifts for the coach and the players, a sports award ceremony with personalized trophies for the players, and invitations for the players’ families. If you’re planning to hold the party at a restaurant, or at a venue that charges admission, like a zoo or amusement park, speak with the other parents first. If the team doesn’t have a budget for parties, you don’t want to assume that all of the parents can afford to chip in for an elaborate, expensive party. You may want to consider holding a team potluck at a local park, or having a pizza and ice cream party at a public pool. Make sure that the party is moderately priced and in a location that is convenient for the majority of families. Speak with the coach about creating personalized awards for each player. Have the coach give you a list of the players, and a specific area in which each player has improved throughout the season. Have a local trophy store create personalized awards or trophies for the players, and create a highlight video featuring each player to show during the awards ceremony.